As a supporter of The Repertory Theatre of St. Louis, you can become an active player in carrying on the tradition of fine theatre with a Planned Gift to The Rep. Your Planned Gift becomes part of the ongoing life of The Rep, helps to maintain consistently high standards in every facet of the theatre’s operation, and acknowledges the importance of The Rep to the quality of life in the St. Louis area. You can “write the script” by selecting, designing, and directing the type of Planned Gift which best suits your own circumstances and charitable intent. Special named endowments can be created which reflect your interests. The Repertory Theatre is proud to have many patrons who have stepped forward to help preserve the theatre for future generations by naming The Rep in their wills, donating to The Rep’s endowment fund or by establishing a charitable gift annuity or trust. 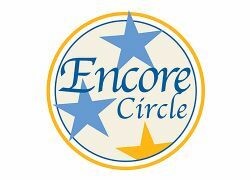 If you have included The Rep in your will or would like more information on making a planned gift to the theatre and joining the Encore Circle, please contact the Donor Relations Office at (314) 687-4028.